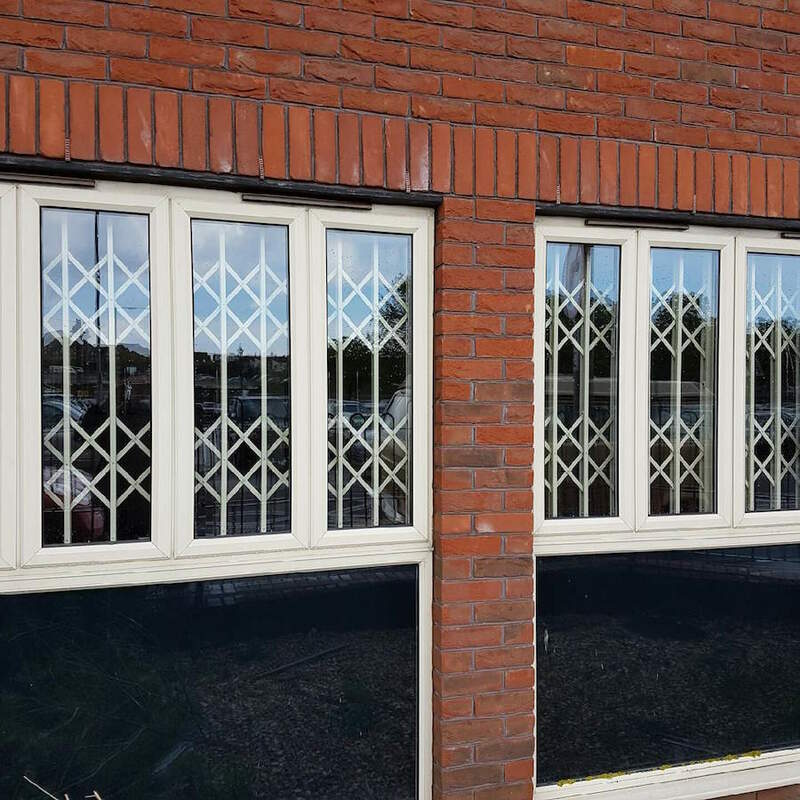 We are able to supply and install collapsible grilles to almost any door or window. Folded neatly away during office hours these grilles can be locked into place when your building is unoccupied. Don’t worry if you have existing window blinds – we are able to weld fixing tabs on to the top track of the grille and re-fix your blinds at no extra cost. Collapsible gates are fitted with double action locks and can be powder coated in the colour of your choice.